Topic: FXT CLASS DIEING OFF???? I was reading the rules for the FXT class to see if I can run dual carbs on my motor, for a up coming race in Wamic Oregon Sept 1st and 2nd . And it said that due to lack of competitor's/ interest, that the class will no longer be raced on a national level anymore. That surprised me!! I was super excited about racing my FXT that weekend , for what would have been my first national race. And I know that our group will still run them and that I can still race my BP too ..
Re: FXT CLASS DIEING OFF???? What sanctioning body rules were these?? 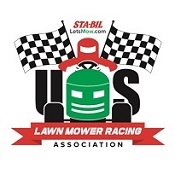 I'm not sure where you are getting your information but I will be in Wamic scoring that race for the USLMRA National Points and FXT's will be there as strong as ever.. and Yes you can run duel carbs.. It was in the USLMRA rules , under " special note" just above the fx class definition. That's great , I thought it was wierd. We replaced FX With FXSingle and FXTwin..